It’s always exciting for the team when we first see new product samples in the Sue Ryder New Goods office. But the samples that we love to see the most are the children’s furniture. We think one of the most exciting parts of being a parent is watching your child’s likes and tastes develop. Furniture with fun patterns and bright colours, (more often than not, far from what we’d choose for our ourselves) is a great way to help children put their own stamp on their playrooms or bedrooms. 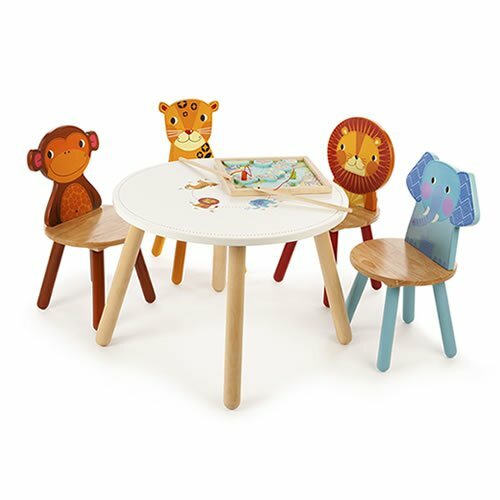 Some our our children’s furniture, the Funky Monkey and Funky Fairy stools, for example, can be personalised with your child’s name. We think the personalised items make a great unique gift for a special occasion. Little people make a big mess. So if you don’t fancy felt tip all over your sofa or PVA on the kitchen table, furniture for children might just be a good idea! Our children’s furniture is priced modestly with this in mind. Find our range here. Posted in Home, Children	and tagged with Home, Children, Furniture, Children's Furniture	by admin.